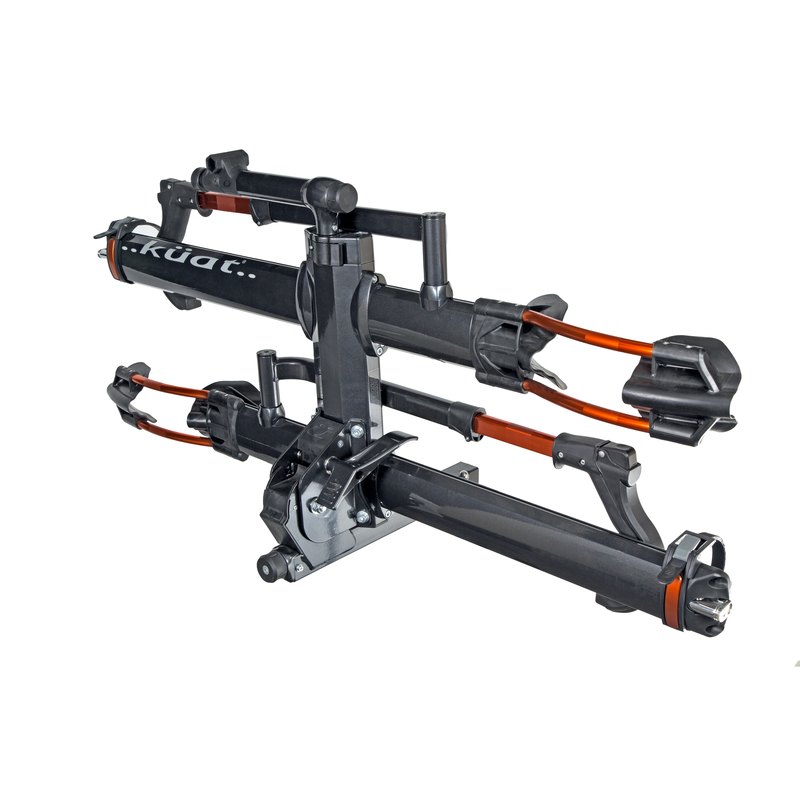 Kuat spent the last 3 years overhauling its NV 2.0 Bike Hitch Rack and fine-tuning it to perfection, so you’d better believe that it’s ready to shuttle your treasured two-wheeled baby to and from the trailhead safely. Kuat managed to find room to improve just about every feature of the NV 2.0, all of which contributes to a stabler, more reliable tow than the NV 2.0’s already solid predecessor. Carry up to four bikes on the NV 2.0, using the adjustable cradles to accommodate different sizes, and enjoy peace of mind from this year’s reinforced individual bike cable locks. Kuat wisely gave the NV 2.0 plenty of staying power in a world of ever-increasing tire size by giving it compatibility with 4.8in tires, and it beefed up the pivot design to give it serious staying power. The entire rack installs via a simple tool-free installation knob, and it even converts into an impressively solid workstand for race-day wheelset swaps and other on-the-go maintenance.